The Friends of Pleasant Bay’s (FOPB) Floating Classroom project was recently featured in the Cape Cod Chronicle. Using an electric-powered 35-foot pontoon boat to teach marine and environmental education to local children, this project is a unique collaboration among FOPB, PBCB and the Center for Coastal Studies, whose professionals will help develop and teach marine and environmental education classes. The boat will be moored at PBCB. To read the full article, click here. PBCB has received a Massachusetts Marine Trades (MMT) Educational Trust grant award. 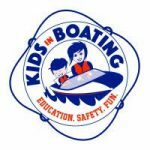 The MMT’s “Kids in Boats” Initiative is designed to introduce children to boating and get them on the water in a safe, smart manner. PBCB has amply demonstrated its commitment to this goal, and will be putting the grant money to hard work supporting our First Sail program for local third graders! Thank you, MMT!